World-known Mt. Everest has a Tibetan name---“ Chomolungma”, which means “the Goddess of the universe”. It’s proved to be the highest peak on earth by the official record of 8,848m (29,029 feet). With snow and ice covering all year around, it appears like a silver pyramid from distance. For centuries, it has been standing firmly and watching the world quietly. People want to conquer Mt. Everest as it’s the nearest place to heaven. But due to the extreme adverse natural conditions, this dream had been stopped until May 29, 1953, the New Zealander Edmund Hillary and the Sherpa guide Tenzing Norgay finally made the first successful attempt to the summit. Thousands of mountaineers have been inspired and come to challenge themselves, one stepping into the breach as another fell. Thus, Mt. Everest turns into a trekking or mountaineering destination for all adventure lovers. Nowadays, a series of backup facilities have been built in the Everest Base Camp, which means this holy mountain becomes more and more touchable for normal travelers. 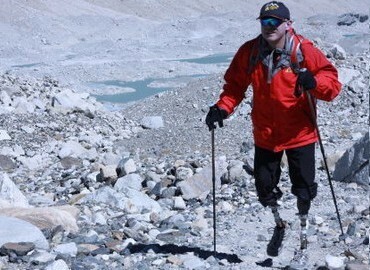 People in a good body condition can easily go for a trip to Everest Base Camp, to make their dreams of reaching the sky come true. So, are there any other reasons to say no to Everest? 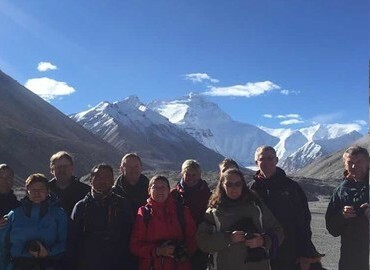 Tips: The best time for Everest tour are from late April to early June, and early September to late October, as it’s the dry season in Tibet when the weather is ideal to enjoy Mt. Everest clearly. It’s a good offer for tourists who want to discover the unique charm of Tibet from a different way compared with normal packages. After basic Lhasa and Everest tours, travelers are going to visit Sakya Monastery and will have a chance to integrate with Local Tibetan families. This tour is filled with religious experience, dreamlike landscapes and breathtaking sunrise of Mt.Everest. It will be a wonderful memory for your whole life. Can I go to Everest Base Camp directly? We suggest you stay 1~2 days in Lhasa to acclimatize the altitude.The altitude of Lhasa city is 3680m. Starting from Lhasa city, your altitude will gradually rise to 5100m till Everest Base Camp. The arrangement of all our itineraries is based on your acclimation. If you go directly to Everest, it will increase the risk of having the high altitude sickness. When is the best time to see Mount Everest? Actually, from April to October is the best time to travel Tibet. For the Everest Tour, from late April to early June, and from September to late October is the best chance to get a clear view of the golden peak of Mt.Everest as the weather is not too cold and the visibility is high. From June to August is the monsoon season with lots of rainfall. So, the Everest may be hidden by the clouds. But the temperature is good for staying overnight at such a high altitude place. What permit do I need if I want to go to Mt.Everest? 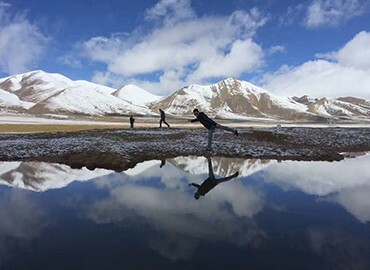 Due to Tibet's unique background, apart from a Passport and a Chinese Visa, all foreign tourists allowed to enter Tibet must have Tibet Permits. If you go to Mt.Everest, you also need the Alien's Travel Permit. 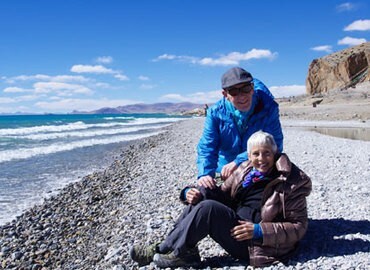 For the foreign Travelers, we will help you obtain your Tibet Travel Permit as well as the Alien's Travel Permit after you book the tour with us. For the Chinese traveler including the mainland Chinese citizens, Hong Kong citizens and Macau citizens. You can apply for border pass in advance at your local Public Security Bureau for free. The border Pass can also be applied in Lhasa but it's not free there. Will Mount Everest Be "Permanently Closed"? Send us a message and get response within 0.5 ~ 24 hours. Your personal info will be kept confidential.